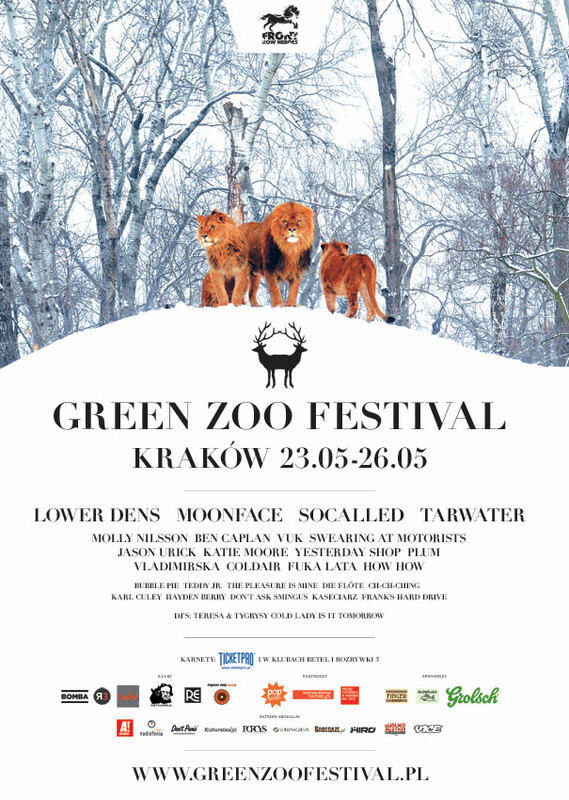 Green ZOO Festival is a city festival that takes place in Krak? ?w, PL. It is a grassroots, community-driven initiative involving promoters Front Row Heroes and a number of local venues and artists. The festival initially took shape in 2011, when a few local bands declared their interest and enthusiasm for supporting canadian singer-songwriter Basia Bulat's concert in Krak??w. This sparked the promoters to broaden their initial plans and begin building a small festival, focused on showcasing interesting international artists, as well as the best of local, independent acts. In 2012, Green ZOO Festival will even further integrate into the fabric of springtime Krak??w. Taking place between 23rd and 26th of May in five different venues, all located within the historic Old Town, it will showcase over 25 international and local artists. One of the festival stages this year will be curated by Pop Montreal, an official partner of Green ZOO Festival. As well as hosting music performances, the festival is to become a meeting platform for musicians and other members of the industry: booking agents, promoters, music press etc. Discussion panel topics this year are to include songwriting, DIY strategies, concert booking and photography. Check out more at www.greenzoofestival.pl! Have you read what Alexei from Handsome Furs wrote on their tumbr? "Can you write about this for your tumblr? You need to write about Warsaw." A tender gentleman held my hand and expressed this wish after our show in Palaty Kultura. There is, of course, always a risk to being an open book: You risk exposing yourself in ways that are not always most flatteringly. But truth be told I'd rather all my flaws be exposed than be unknowable. I feel lucky in my line of work to meet excellent people nearly daily and I like that some of them know a thing or two about me from the writings that I do for this tour journal. Of course much of it is poorly written and perhaps frequently even boring but the consequence of these dispatches is that I have become approachable in a whole new way. People will more immediately engage me in political debates or challenge my theories and dissatisfactions with the world. They will also advise me on things to do and things to eat and bands to hear and the secret spots hidden in every good city. It's become an increasingly worthwhile exchange. So when I am asked to write about Warsaw - as if I wouldn't - I have many things to tell you and not simply because you asked for it but mostly because it was tremendous. For the second time within twelve months we had the opportunity to play in Stalin's middle finger. For architecture lovers, you will now this building as the city's grandest and most debated feature of the skyline. For us, it is a perfect venue. A symbol of oppression taken over by the people it used to make feel small. And now it feels huge for all the right reasons. 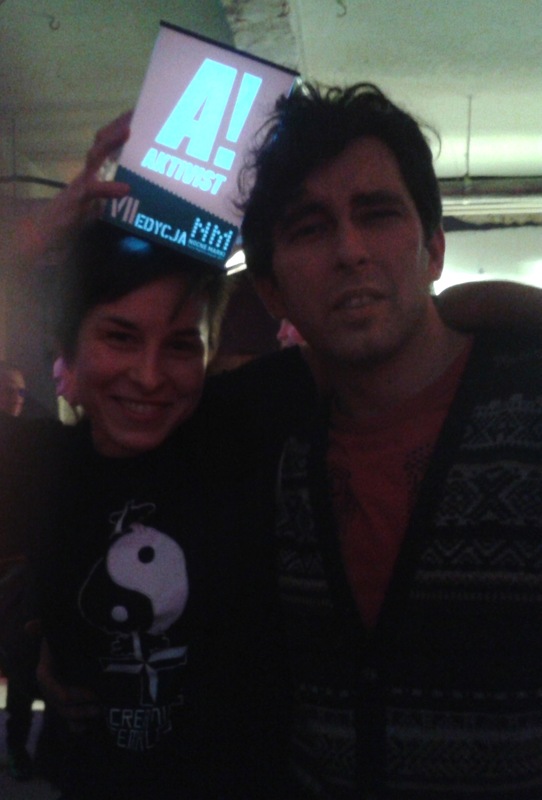 I will also reintroduce you to Emi - the promoter with the perfect smirk and world's best hugs. She is scrappy and tender. She will elbow your ribs when complimenting you. ("Seriously, Handsome Furs are really big in Poland right now," she says with a wink but then follows with, "But I mean it... actually.") And she will also take all your terrible rotten laundry and clean it while you soundcheck and eat dinner, even though she is busy with both promoting the show and working as a lawyer. Needless to say, she is one of my all time favourite people on this earth. Her face alone makes me feel calm and safe and happy and excited all at once. When KFS take stage, I realize how many people have arrived and I feel nervous. (All evening I'd been nervous that they weren't coming but suddenly the place is packed.) Both Chairman Cyprian and new hire Lodz promoter Blazej have taken trains from their respective homes in order to attend. Having the night off - after two immensely successful shows of theirs in Krakow and Lodz - they become the Front Row Heroes of their company namesake. They are moshing by the second song. The best way that I can sum up just how wonderful the crowd was for this show is in this way: when Dan jumped to the floor during What About Us? to sing directly into their faces and link arms with them and jump around chaotically, he was lifted into the air for his longest crowd surfing of our career. The people would not return him in time for his synth line finale. He stayed mid-air, mid-song, screaming his heart's content, contentedly. It was a unique thing. A crazy rare lawless and chaotic moment. To be literally taken in arms by the people certainly makes you feel like you are serving them right. So, my dearest Warsaw, I would have written about you with a warm heart and beaming smile whether you'd asked me to or not. But I'm glad you did. It makes me know I'm yours. In a very real way that makes me feel honest and open and happy to be in this world together with you. Thank you, Alexei, thank you, Dan! We love you. Please come back soon, we'll be waiting for you. 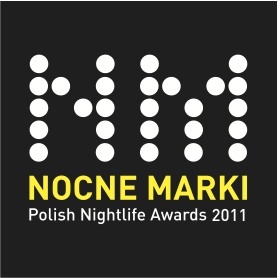 Front Row Heroes won Nocne Marki! as the AGENCY OF THE YEAR!!! We've just received the thing! Thanks so much! We're sooo happy! We proudly announce that ParisTetris has been invited by Eurosonic Noorderslag in Netherlands to play at this year's edition of the festival. You all probably know what Eurosonic is, so I will be short about it: please DO COME to ParisTetris gig at Eurosonic! It will take place on Friday, 13th of January, at 8: 45 pm. They are truly amazing and waiting to be discovered by all of you. ICEAGE gig on Friday, Dec 2nd - be there! We're happy to invite You to the only ICEAGE gig in Poland! If you don't know them, check this amazing punk-rock Danish band out here. And then buy your ticket, they're available in every Ticketpro sale point in Poland.